The High Performance: Beautiful 10 inch 1280*800 IPS display with the 178 degree of viewing experience, a 1.3 GHz stable Quad Core processor, and the Android 7.0 Nougat operating system. 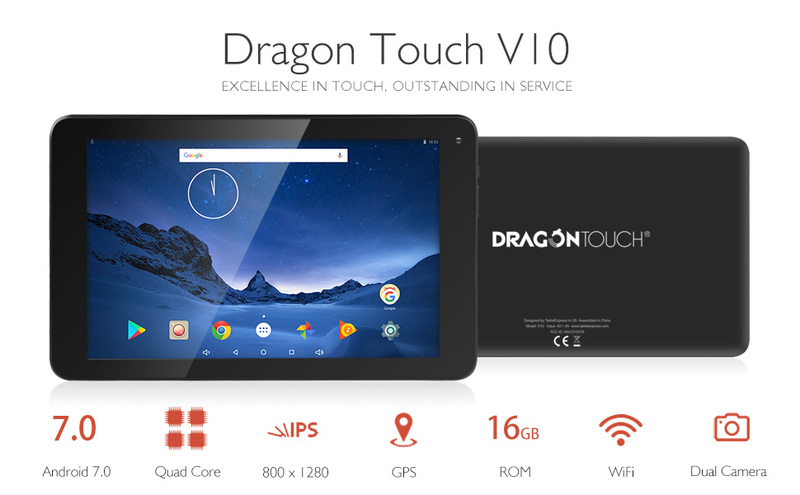 Dragon Touch tablet provides you more entertainments: the ultimate multimedia user experience, the extraordinary game experience and the speed touch screen feel. 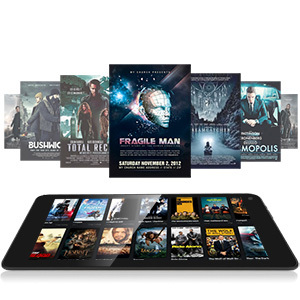 Expanded storage: An 16 GB EMMC internal storage enables you to download thousands of apps from Google Play Store, and the Micro SD card slot to this tablet allows adding up to 32GB of expanding space to enjoy millions of movies, TV shows, songs, Kindle eBooks, games and more. Stay connected: Built in the high speed WIFI, the micro HDMI port, FM and GPS, V10 tablet enables you to stay connected on the go and fast web browsing, easy to pair with speakers, keyboard, and you can go where you want to go without being lost. 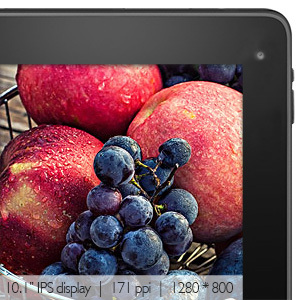 Long Battery Life: This 10 inch android tablet has built in 5600mAh rechargeable battery, do not worry to watch videos, connect with your friends, reading and writing. Worry-Free US Local Customer Service: On-time customer service/tech support, frequently updated firmware guarantees customer satisfactory. 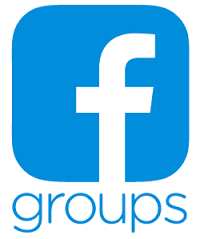 Please feel free to contact us whenever a question pops up in your head, we are always here to help. By buying this product you can collect up to 99 loyalty points. Your cart will total 99 points that can be converted into a voucher of $0.99. Note: The tablet needs to be charged soon if the power is lower than 5%. To protect the tablet battery life, the battery have low power automatic protection mechanism. 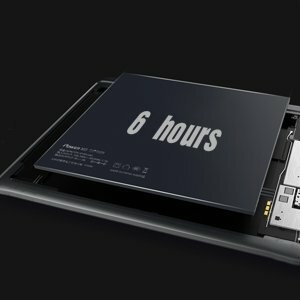 If the tablet is battery power off during normal using, it needs to be charged soon. If keeping it power off for a long time, it needs to be charged for at least six hours using the cable included to power it on again. 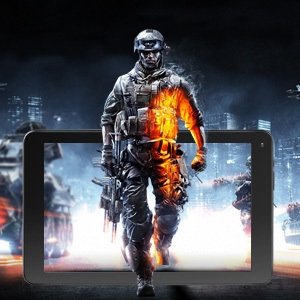 Featuring 10.1 inch android tablet with 800x1280 IPS display with vivid colors for a great viewing experience from all angles, which brings a better viewing experience. With 1GB+16GB, this tablet supports microSD card up to 32GB, which you can downlaod all of your favorite apps, movies, music and so on. 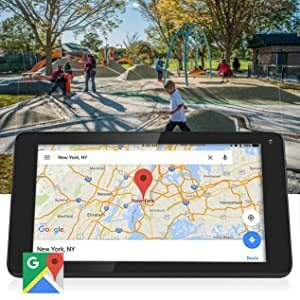 Integrated GPS sensor makes navigation possible when you download an offline map to the tablet. Also, the Android tablet supports WiFi, which keeps you connected you your friends and social network. Are you a radio lover? The V10 tablet is also equipped with FM radio. The Unlocked Tablet with Newest Android 7.0 Nougat with MTK 1.3GHz Quad Core, riches more Apps from Google Play Store to accompany your entertainment. Tips: Not all apps are compatible with Google system, please contact Dragon Touch store via Amazon before purchasing. Don't be tethered to an outlet. Normally 4.5-6 hours video time. Fully charges in under 6-8 hours using the micro-USB power adapter included in the box, or slightly longer with other micro-USB power adapters that you may already have. Dragon Touch V10 tablet gives you more flexibility to go where the day takes you.